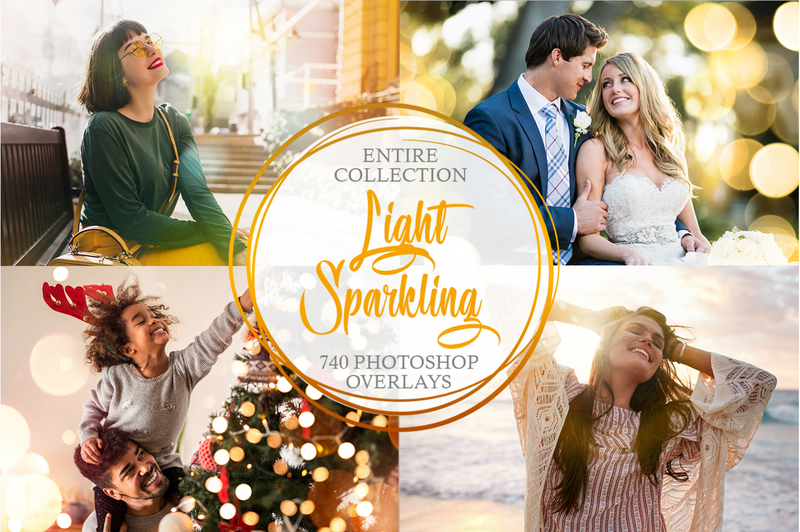 Looking for beautiful free old film overlays to make your photos look as they were taken on an old film camera? 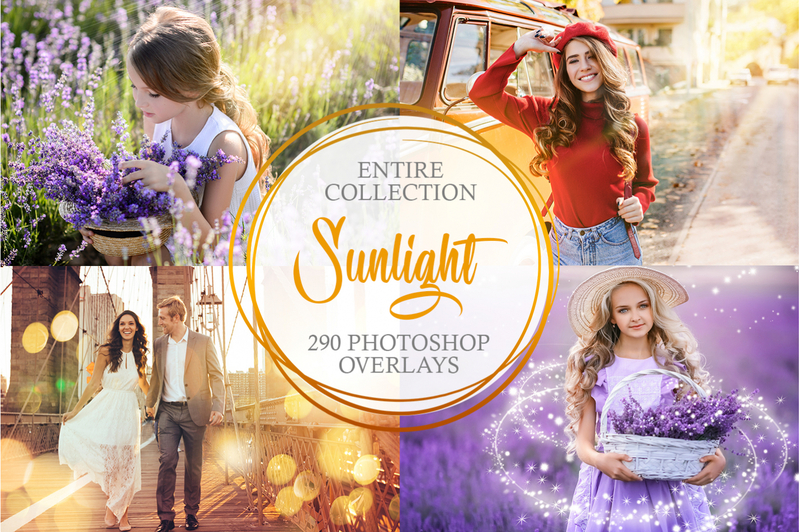 If yes, FixThePhoto team has created the stunning collection of 10 old film overlays that are available for all Photoshop users. It gives an opportunity to transform your images by adding the incredible effects of an old film photo. 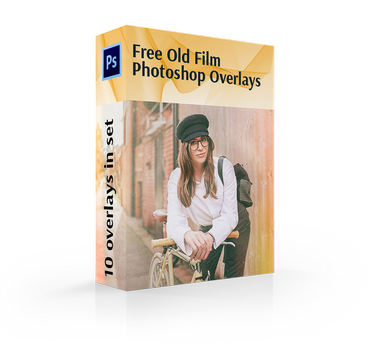 The package includes 10 different old film overlays for editing digital photos fast. Each old film overlay from our set provides special antique color effects. 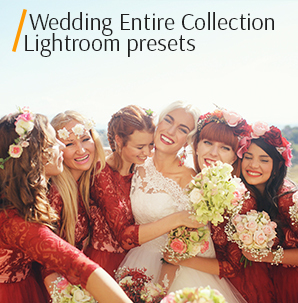 After applying these photo editing freebies, the picture looks really impressive with a grain or moody effect. 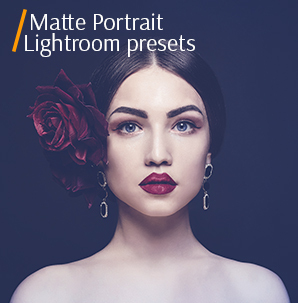 The filters provide a sense of drama and authenticity to any studio or street photo. PS Overlay #1 "Emerald Effect"
PS Overlay #2 "Bright Colors"
PS Overlay #3 "Rose Side"
PS Overlay #4 "Full of the Sun"
PS Overlay #5 "Romantic Mood"
PS Overlay #6 "Sun and Love"
PS Overlay #7 "Stylish Accents"
PS Overlay #8 "Warm Weather"
PS Overlay #9 "Grains and Light"
PS Overlay #10 "Fantastic Colors”"
Different people have completely different ideas of how a photograph should look in a film. Using old film overlays from this set, you can create your own professional style and give each photo a special color, tone, and grain structure. There are many types of film that you can achieve during photo editing and color correction. Don’t be afraid to combine old film overlays, because this gives you a chance to imitate your favorite kind of film or create a completely new effect. 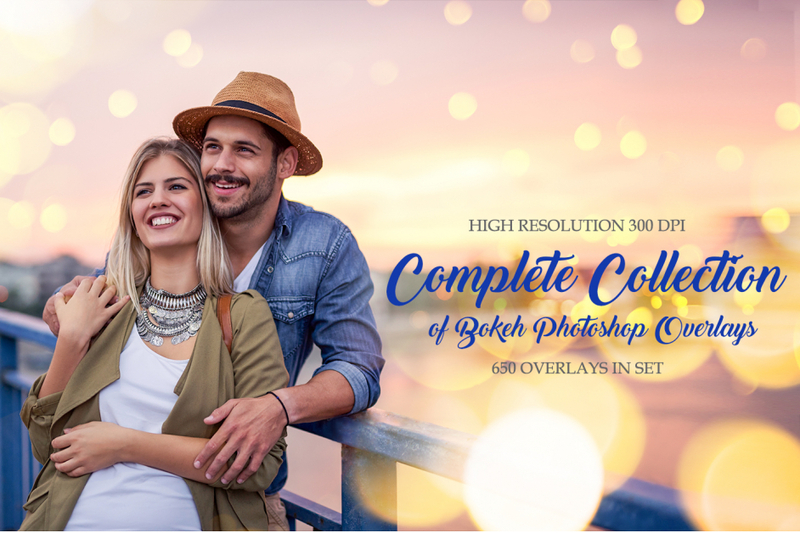 This process makes Photoshop photo editing very exciting for all creative people. No one knows in advance what the final result will look like. That reminds the process of shooting on real film. Old Film Overlay Free #1 "Emerald Effect"
Consider the fact that film photography may be imperfect on the technical side, but look pleasant for visual perception. It’s true that the film makes any photo really special. This overlay #1 was taken from "Old Film"
This is one of the brightest old film overlays in our free collection. 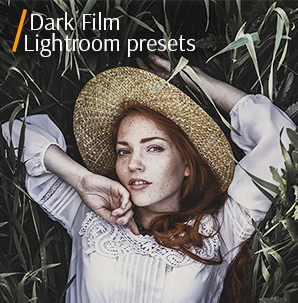 The sated green color of this popular filter emphasizes the beauty of outdoor photoshoots. This old film overlay Photoshop is good for pictures that were taken in summer or spring. Old Film Overlay Photoshop #2 "Bright Colors"
If you want to use all the possibilities of this old film grain overlay, select photos with large shadow areas. This overlay #2 was taken from "Old Film"
This old film grain overlay creates an amazing atmosphere on any photo by adding little grains and plashes of different colors. Experiment and find your own style with this tool that makes any image be full of positive energy and dynamics. Free Old Film Overlay #3 "Rose Side"
The grain looks really good on portraits of children, couples or families. This overlay #3 was taken from "Old Film"
A nice old film grain overlay, which is very useful and universal. It suits a wide range of photos from love stories to street photography. The rose color makes a beautiful accent, but it doesn’t deflect attention from the main object on the photo. Old Film Filter Overlay #4 "Full of the Sun"
Use this old film overlay Photoshop when you want to get a retro photo in warm colors. This overlay #4 was taken from "Old Film"
Even if the photo seems to be too dark and full of cold colors, this old film effect overlay will transform it into a sunny masterpiece. The marvelous orange and yellow shades make model’s skin and surrounding nature look attractive. Old Film Overlay Ps #5 "Romantic Mood"
It looks nice with color and black and white pictures. This overlay #5 was taken from "Old Film"
A perfect example of light-colored old film effect overlay that can become popular among wedding photographers. The light shades intensify positive emotions and happy moments that we can see on a photograph. Old Film Overlay #6 "Sun and Love"
Apply this old film overlay Photoshop when you want to give photographs a fascinating timeless look! This overlay #6 was taken from "Old Film"
This stylish old film effect overlay helps return too bright colors to plain and ordinary-looking images. No matter if you are an experienced photographer or a beginner, a blogger or a common Instagram user, you will like the result. Old Film Effect Overlay #7 "Stylish Accents"
The effect works really great with street photography. It gives photos movement and realism, a sense of documentary. This overlay #7 was taken from "Old Film"
A creative and good-looking old film grain overlay with bright colorful shades. Thanks to it, you can not only add grains and change the color palette of the image but also correct the composition. The green light near the center makes magical things. Old Film Overlay for Ps #8 "Warm Weather"
Choosing photos keep in mind that it must have sufficient distribution of shadows, light, and tones. This overlay #8 was taken from "Old Film"
A gentle and delicate old film effect overlay provides photographs with soft orange, yellow and golden shades. These warm colors are quite suitable for photos that show love, tenderness, happiness, and other romantic feelings. Old Film Look Overlay #9 "Grains and Light"
If you want to get a classic version of film photography and add a little grain, we recommend using this overlay. The grains make mundane photos look unusual. 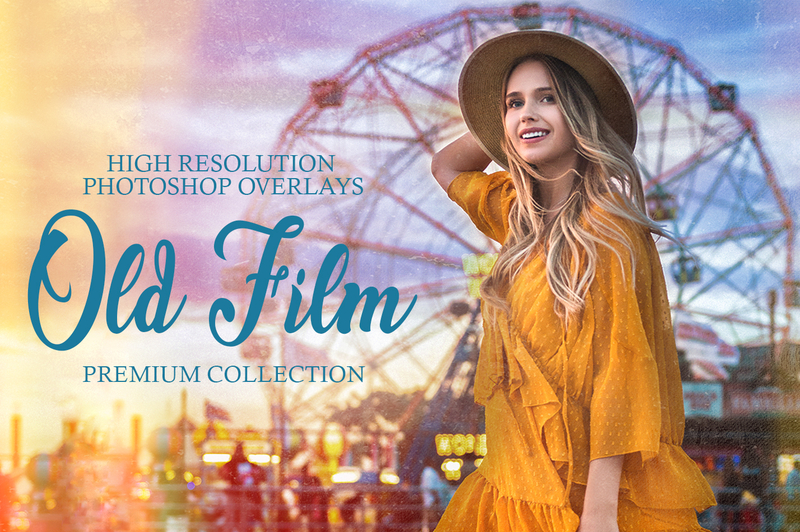 This overlay #9 was taken from "Old Film"
Old-styled and retro photos look awesome on different websites, blogs, profiles in social networks, professional portfolios and even fashion magazines. This old film overlay is universal and helps receive a wonderful effect in several clicks. Photoshop Overlay Old Film #10 "Fantastic Colors"
Choose the image of a cityscape to work with this old film overlay. We believe it is the best overlay because of bright colors and simplified composition. This overlay #10 was taken from "Old Film"
One of the most beautiful old film overlays that adds some magic of retro photography into modern pictures. We recommend this filter for various outdoor photoshoots, as it intensifies the natural colors of different sceneries.